How a Print Marketing Company Could Generate $64,800 in New Revenue in the Next 90 Days. In this new digital age it can be difficult to retain customers seeking a digital solution. Buyers, while still seeking print options, are turning more and more to digital marketing every day. As a print company, this change to digital can be scary. Technologies are expensive to build and can be overwhelming to implement. Many companies are seeing longtime customers turn to competitors who offer a digital solution. Our CEO, Brandon Lee, knows first hand how difficult the transition to digital can be since his first company that he sold was a print company. As the world started moving towards digital, Brandon saw opportunities to partner with print companies and help them offer digital solutions. This solution would not take up too much of the print companies time or resources, and it would be simple to launch and sell. With Yip Yip, one person is able to create and publish personally branded social posts, blogs and drip email campaigns for a multitude of people! What’s more is since Yip Yip is a monthly subscription software, it is inexpensive, easy to implement and we can white label the software for your business. The implementation process is simple and can be completed in less than two weeks, allowing you extra time to target your existing customers, or past customers who have churned because they were seeking a digital product. 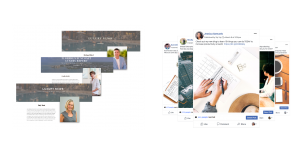 With our complimentary launch-in-a-box, you won’t even have to worry about creating a launch marketing campaign-we’ve already done it for you. Your clients will have the ability to self onboard onto our system, and you’ll start seeing new revenue within the first two weeks of launching. 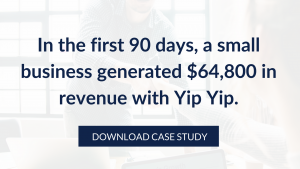 The Institute for Luxury Home Marketing implemented Yip Yip and generated $64,800 in annual recurring revenue within the first 90 days. That’s the equivalent of their average product annual revenue. If you’re interested in seeing exactly how the Institute for Luxury Home Marketing was able to easily launch a new revenue stream and start earning new business revenue in less than 90 days then click the image below to download their case study. Do you have a network of solopreneurs, small business owners or sales teams? Are you challenged to help those customers (or members) build their brand and increase their revenues? Interested in creating a new revenue stream—without having to build a digital marketing engine yourself? If you answered yes to any of the above questions, a Yip Yip Partnership is perfect for you! Click this link to schedule a call today!